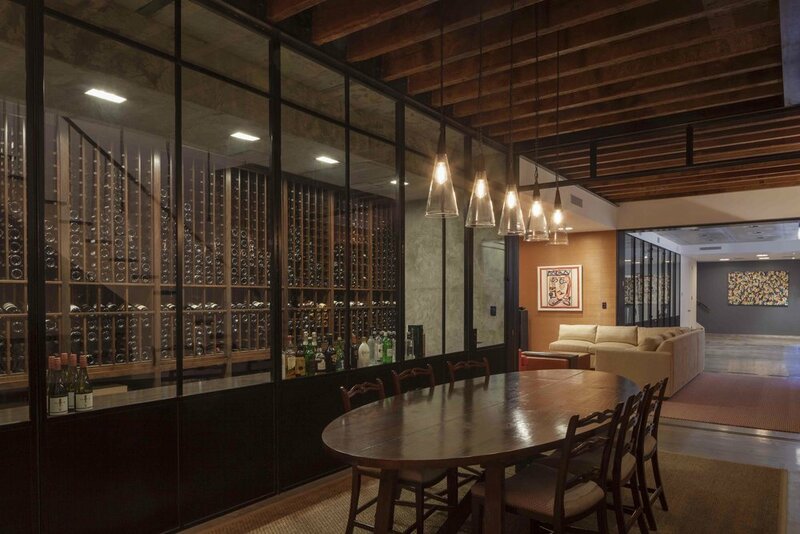 This complex renovation of a 19th century Upper East Side firehouse and associated carriage house into a single-family residence was completed in 2015. 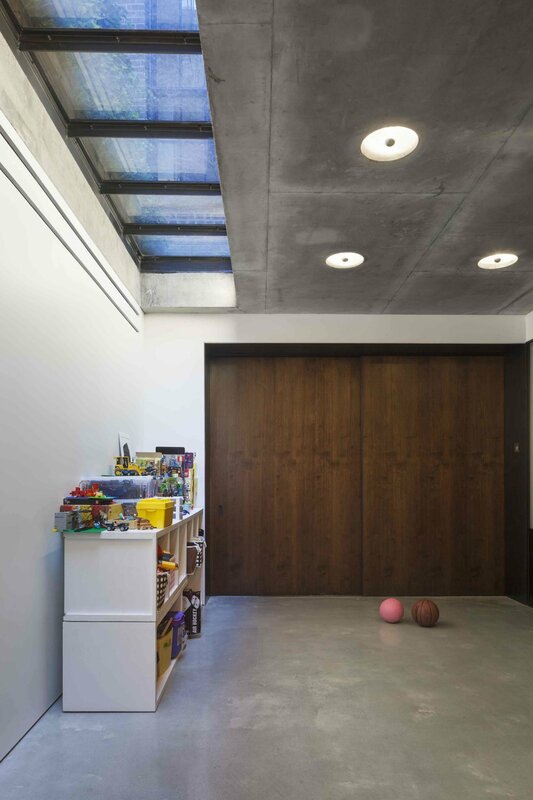 While preserving and restoring the existing façades and the original vertical grain decking and timber beams at the ground floor level, this project required a full replacement of the interior structure in order to accommodate the needs of a young family. Full excavation of the cellar level and garden provides an interior connection between the two buildings in the form of an open entertainment space with walk-able glass skylight above. To bring light to the core of the house, the building culminates with a contemporary glass penthouse that provides access to a landscaped rooftop garden.